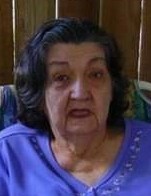 Wilma J. Wilson, 89 of North Las Vegas, formerly of Champaign-Urbana passed away at 6:30 p.m. on February 1, 2019 at Always Better Care Group Home in North Las Vegas. Wilma was born on May 8, 1929 in Champaign to Walter and Belle (Mackey) Wyckoff. Wilma graduated Champaign High School in 1947. On April 4, 1947 she married Keith L. Wilson in Champaign. They were blessed with four boys; Billy, Larry, Marvin and Ricky. She and her husband owned Old Fashion Dry Cleaners in Urbana IL for multiple years. She worked at Grandy’s, Super 8 Motel and La Quinta Inn. After full retirement she spent her time raising birds, fish, and plants. She moved to Arizona in 2016. She loved knitting, crocheting, tatting lace, visiting with friends and her family. She beat breast cancer, raised her grandson Brian Wilson, and was known for her amazing sense of humor. Preceding her in death are her parents. Her beloved husband Keith on April 12, 1996; two sons: Ricky and Billy Wilson, and her brother John. Wilma is survived by her sons; Marvin Wilson of Golden Valley, Arizona and Larry Wilson of Seligman Arizona, 7 grandchildren and numerous great grandchildren. Graveside services will be held at 10:00 a.m. on Saturday, February 16, 2019 at Grandview Memorial Gardens in Champaign. Pastor Lutz Braunig will officiate. Renner-Wikoff Chapel is in charge of arrangements. Memorial Contributions may be made to The American Heart Association or The Susan G Komen Foundation in her memory.